First of all I'll start by saying that growing up I had a very vivid imagination and was notorious for being a daydreamer. Later in life I found that I'd been given a gift, a gift where I could bring my thoughts and imagination to life. I began my writing career three years ago. One morning I woke up and knew I needed to write. I was 28 years old, wife and mother of three. I felt like something was missing in my life, like there was something else I was supposed to be doing. So I prayed for a year straight in search of answers. In between all this my father passed away. We'd been very close and it hit me (and my family) hard. I like to think my dad helped push me in the right direction. 2. Do you write first in longhand or just tap away at the computer? It depends. If I'm at my children's basketball or baseball practices I sit there in my own little world with my notebook and pen. Most of the time, though, I'm in front of my laptop, pounding away a story. 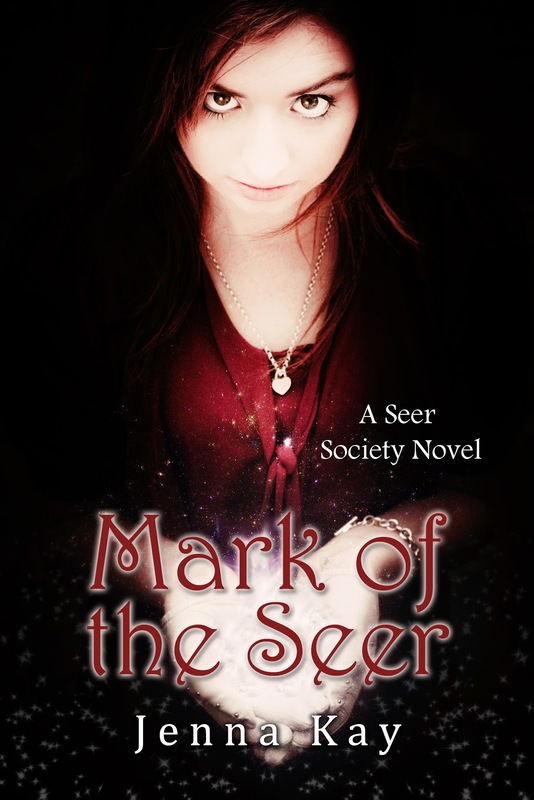 "Mark of the Seer", book one in the Seer Society Series, will be out 2/29/12, published by Crushing Hearts and Black Butterfly Publishing. 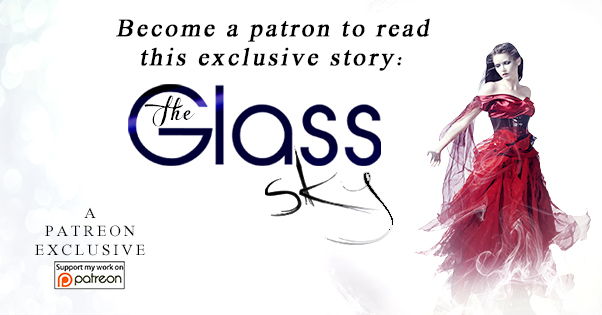 There will be five books (at least) in this series. 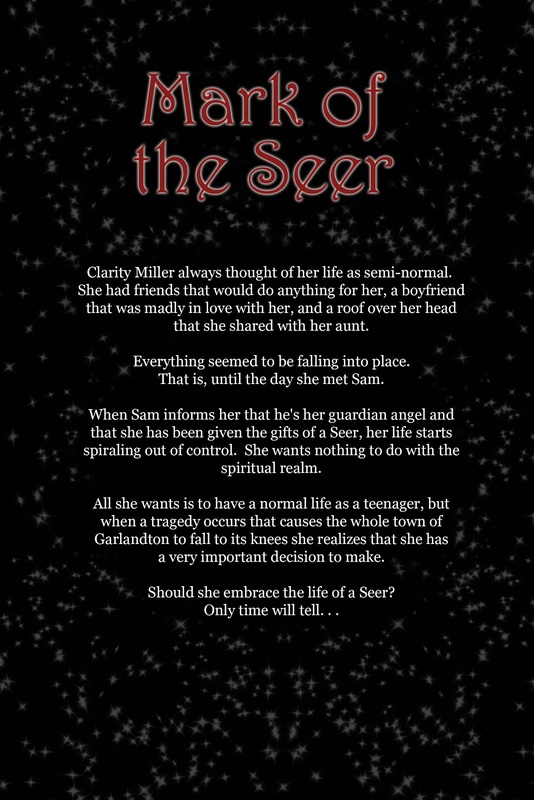 Currently I'm working on my newest series, "The Gracen Chronicles". 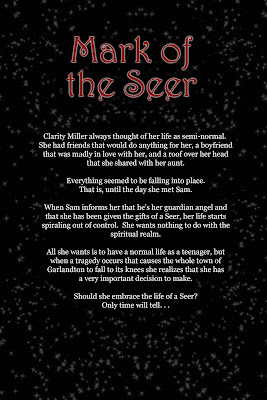 There will be three books in this series, maybe four. My goal for 2012 is to write three books. "Go ahead, cut all your hair off--it'll look good!" It didn't look good. 5. What makes your stories different? That's a hard one. I like mostly paranormal books. I loved the Shiver series, Fallen series, The Mortal Instruments...serious the list is huge. Right now I'm reading "Blood and Light" by Rue Volley, and I'm loving it! 7. Ice cream, gelato, sherbet or sorbet? Coffee's a must have when I write. Music blasting helps as well. If I'm stumped I take a walk and listening to my headphones...That's about it. 9. What was the hardest part you had to write in your book? 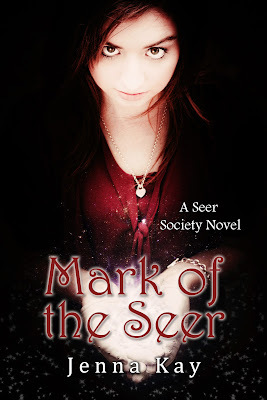 "Mark of the Seer" is the first book I completed, and the hardest part was killing off a certain character...touchy stuff. All photography and artwork used by permission of the author. Love you guys too! Jenna, awesome answers!